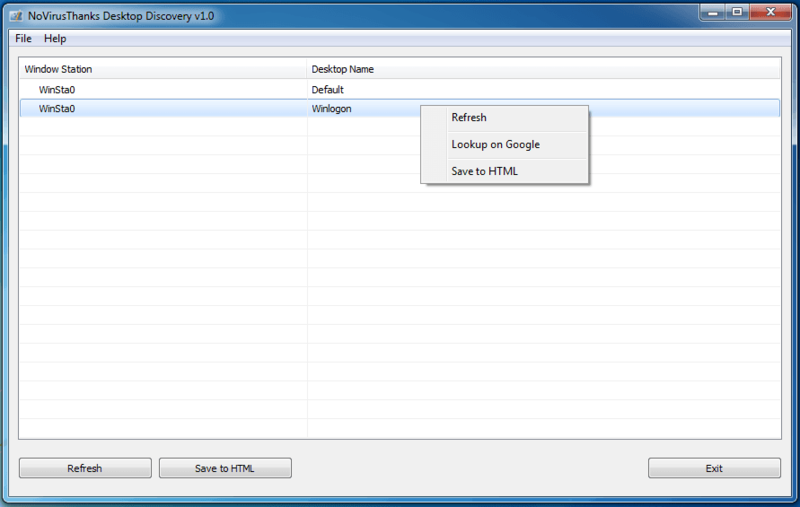 Desktop Discovery is a small but useful Windows utility that enumerates and lists all Window Stations as well as their corresponding Desktops by name. This can give the end-user a named description of any window stations or alternate desktops that may be present within the host OS environment but non-visible to the actual user. In recent years malware such as Hesperbot has leveraged such attack surfaces such as alternate desktop creations in order to do its stealth malicious bidding which only highlights the importance of this tool in listing what would generally be invisible UI elements of the Windows OS. 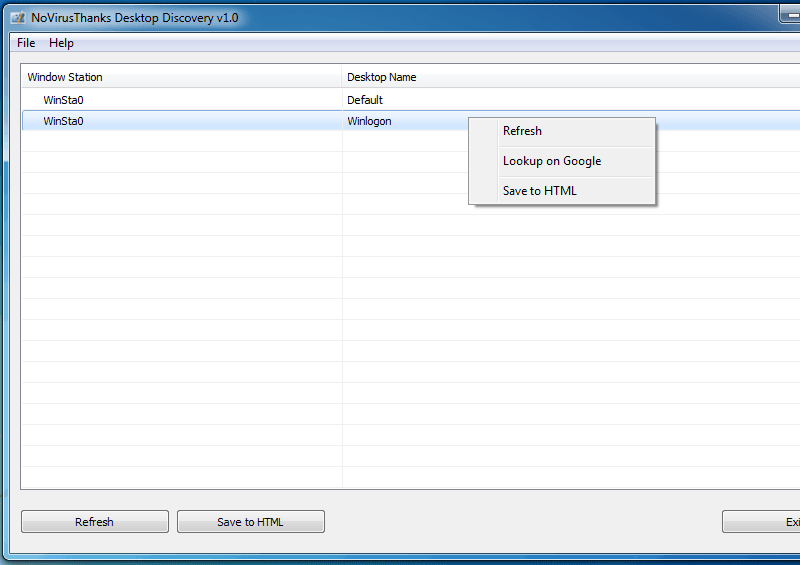 This utility will allow you to see what desktops have been created and where. We have prepared the next release to allow for alternate desktop switching so you can navigate amongst each desktop in order to interact with them. Detection of alternate Desktop presence is the most important aspect to researchers, we firmly believe. It’s also common for sandboxes to create alternate desktops such as Chromium-based Browsers like Chrome, Opera etc. so further actions may be investigated on the user’s end. View all Window Stations as well as their corresponding Desktops. Spot any hidden alternate Desktop present within the host OS environment. View the Windoe Station name and the corresponding Desktop name.